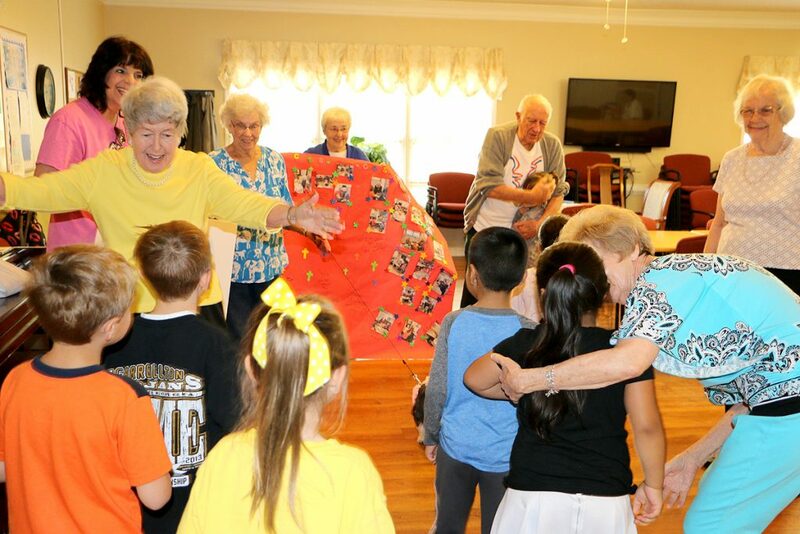 Lucky Ducks senior citizen buddies greet the kindergartners as they arrive to the Cottage Landing community center. 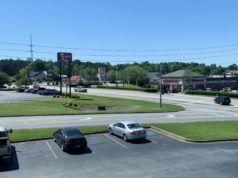 CARROLLTON, GA – Kristine Rowland has always held young children and the elderly in a special place in her heart. And while age differences and interests between these two generations may seem vast and insurmountable when it comes to developing close relationships between them, Rowland contends it couldn’t be further from the truth. 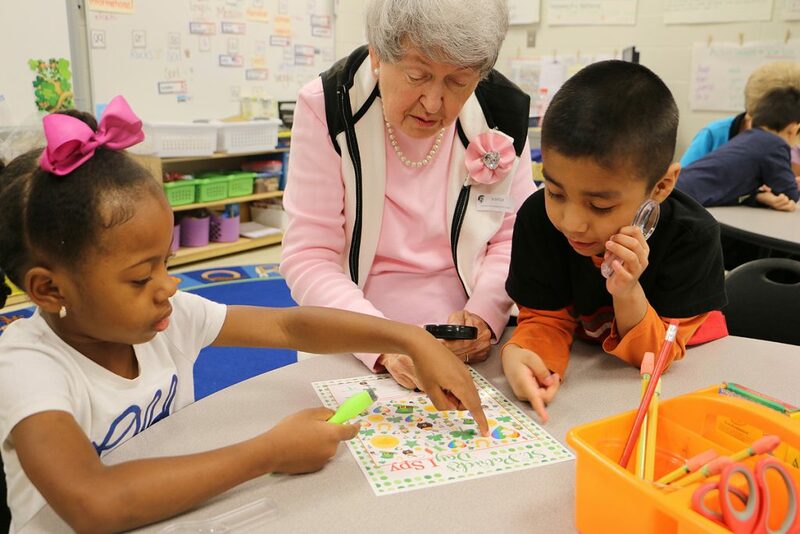 The Carrollton Elementary School kindergarten teacher proved her point this year by setting up a program that brought senior citizens from the Cottage Landing retirement community to her “Lucky Ducks” classroom every other week. 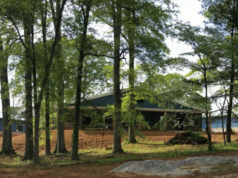 Rowland reached out to Amber Newman, program director at Cottage Landing, to share her idea. Once school started back after the holiday break in January – and the flu season was at bay – the Cottage Landing Senior Citizen Buddies started arriving by van every other Friday to spend about an hour in the classroom, forging new relationships with a new generation. 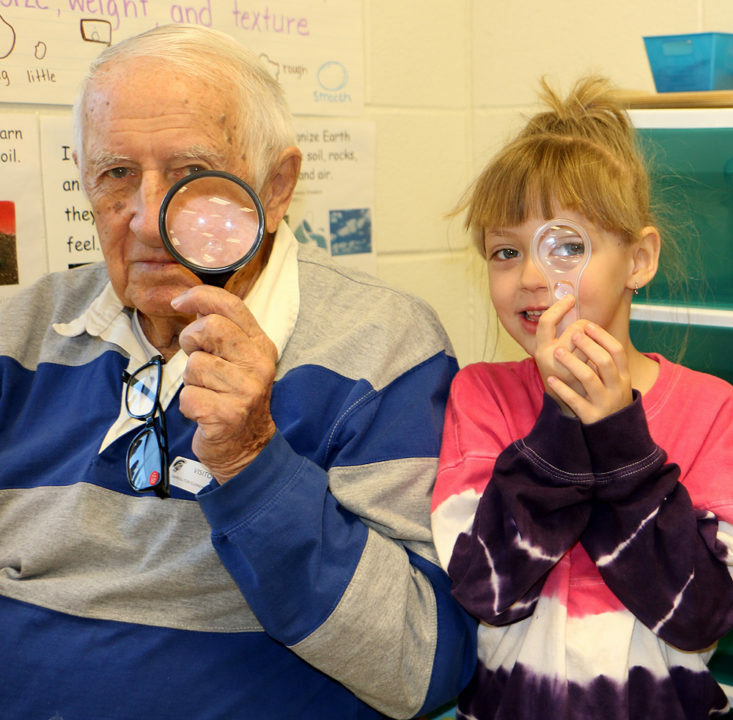 Alyssa Thompson and her “buddy” Ed Bawol practice using magnifying glasses in the classroom. 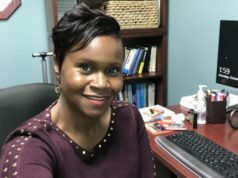 Rowland said the relationship is somewhat symbiotic, too, as both groups benefit from working together on tasks that strengthen fine motor skills, sharpen the mind, and challenge the status quo. She also noted the students are learning about the elderly and developing a deeper understanding of patience and compassion. “This is something you can’t learn in a book,” she said. Rowland said the students were very curious about their new buddies, asking questions about where they lived, what they did with their time, and if they had families and pets. Rowland decided to schedule a year-end field trip celebration to Cottage Landing where the children could visit the buddies in their homes. On May 4, the Lucky Ducks hopped on a school bus for the short trek to Cottage Landing. First, they met in a community room and sang songs for the residents. Then, the buddies escorted them to their individual apartment homes, each reflecting their personalities and interests. Norma Jean Stephens, one of the buddies, was thrilled to show off her apartment to the students. June Johnson shows the students her artist sketchbook in her apartment. Sandy Parker, another buddy, led the Lucky Ducks to her apartment across the parking lot. There she showed them the torch she carried to commemorate the 1996 Atlanta Olympics, and patriotic memorabilia that documented the service of her two daughters in the U.S. Air Force. “I love the American flag,” one little girl whispered as she put her hand over her heart when Parker pointed to the encased folded triangle mounted to the wall. Sandy Parker works with students in the Lucky Ducks kindergarten class at Carrollton Elementary School. A resident of Cottage Landing, Parker and about 10 other senior citizens visited the class every other week for about an hour. June Johnson, another buddy, showed the students a sketchbook of her art and Anita Filer, a retired teacher, wowed the students with her collection of more than 100 teddy bears. Before heading back to school, the students and their buddies blew and popped soap bubbles and created artwork with sidewalk chalk. 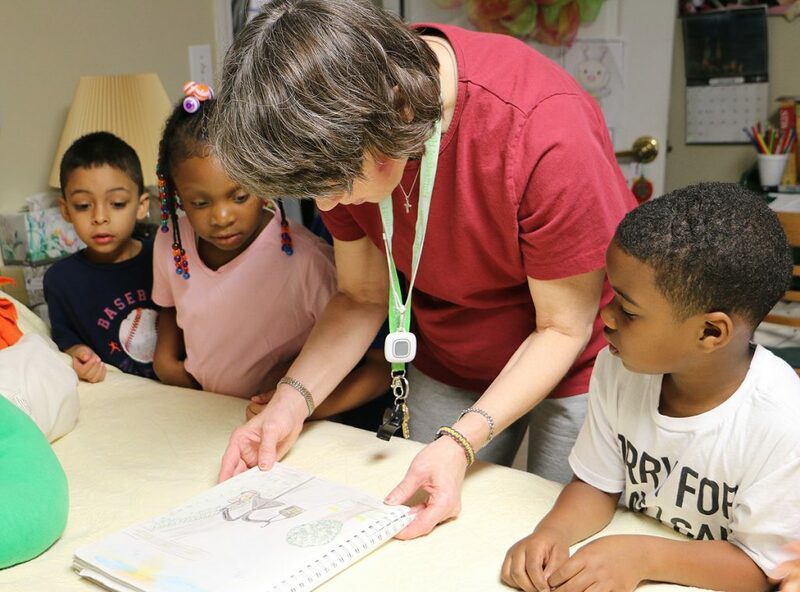 Once the kindergartners loaded the bus, they talked about their experience, most enamored with the skittish pets whose lives were temporarily disrupted by their presence, and the diverse personal collections the buddies shared with the students. “Their homes were awthsome,” said a toothless Parker Brewer. Rowland said the success of the Senior Citizens Buddies program has captured the attention of others who want to do a similar outreach.